As candidates muscle for support in a crowded Democratic primary, several are considering proposals that could mean changes to the Electoral College and transform the makeup of the U.S. Supreme Court. These ideas, along with such efforts as the Green New Deal and Medicare for all, amount to a wave of significant, structural proposals in a still "embryonic" primary, said ABC News Chief White House Correspondent Jonathan Karl on the Powerhouse Politics podcast Wednesday. Several 2020 hopefuls, such as Sens. Kirsten Gillibrand, D-N.Y., Elizabeth Warren, D-Mass., Kamala Harris, D-Calif., Texas Rep. Beto O’Rourke and South Bend, Indiana Mayor Pete Buttigieg, have at least said that they were willing to entertain the idea of adding justices to the Supreme Court. "Remind me what the Constitution says, about how many justices there should be on the Supreme Court," Karl asked ABC Political Director Rick Klein during Wednesday’s podcast. "Well that's an interesting one though, isn't it?" Klein replied. "Because actually the Constitution doesn't say." Rep. Mark Green, R-Tenn., announced on Twitter that he would attempt to cement the court’s nine-justice tradition through a constitutional amendment. He said he plans to propose the amendment on Thursday. Florida Sen. Marco Rubio made a similar announcement in a Twitter post Tuesday. Earlier this week, at a town hall in Mississippi, Sen. Elizabeth Warren, D-Mass., announced her support to abolish the Electoral College. "We've seen two elections just in the last two decades where the winner of the popular vote was not the winner of the Electoral College, and therefore was not the president," Klein said, referring to losses by Al Gore in 2000 and Hillary Clinton in 2016. Greenville, Miss. 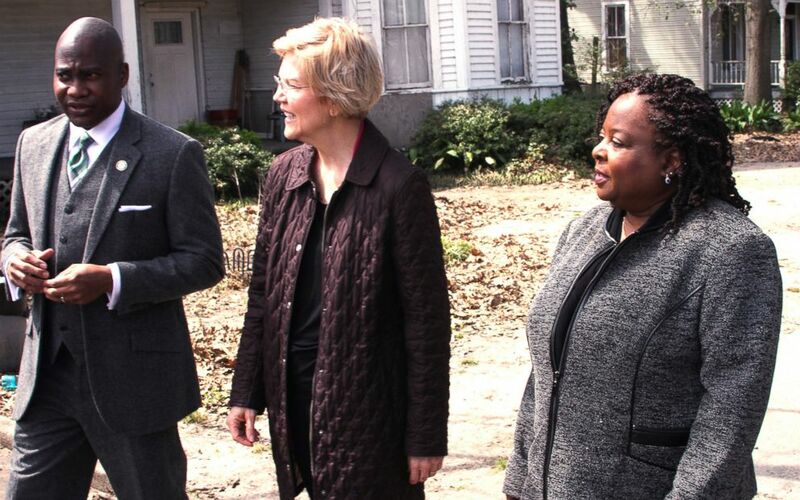 Mayor Errick Simmons, 2020 Democratic presidential candidate Sen. Elizabeth Warren and Mable Starks, former CEO Mississippi Action for Community Education,in Greenville, Miss., March 18, 2019. Warren is by no means the first to push this idea. Under the current effort, nearly a quarter of states have signed onto a pledge that would give their electoral votes to the candidate who wins the nation’s popular vote. 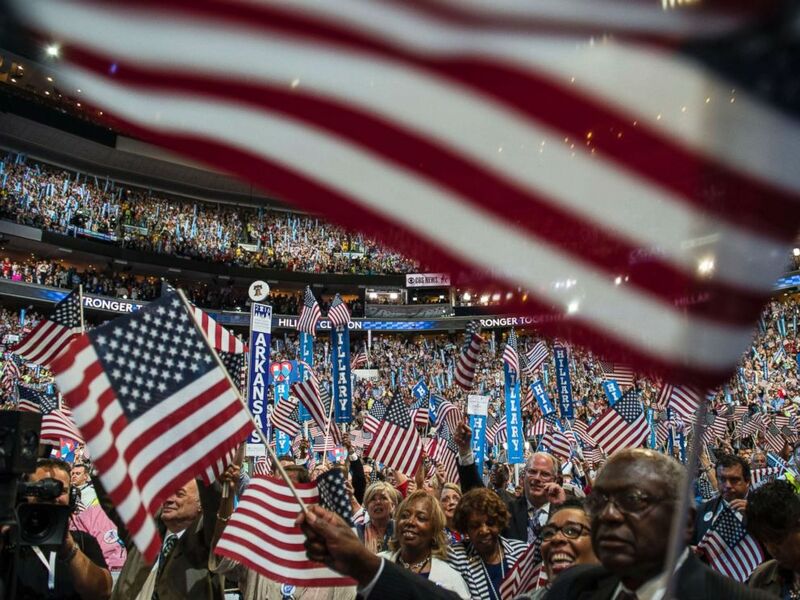 Crowds cheer as Hillary Clinton delivers her keynote address at the Democratic National Convention in Philadelphia, July 28, 2016. President Donald Trump responded to the proposal Tuesday, writing on Twitter that in seeking the popular vote, presidential candidates would end up ignoring the Midwest and smaller states. "He immediately seized on this, to make this a political issue that would appeal in the very states that you need to win as long as there is an Electoral College -- which there certainly will be in the next election," Karl said. "Loop it in with socialism and the Green New Deal and the other things, and you'll find a way to paint Democrats as coastal elites, and you gin up a base," Klein said. On Wednesday, before Trump departed for a trip to Ohio, Karl asked the president whether the public has a right to see the long-awaited report expected from special counsel Robert Mueller’s office. "I don't mind. I mean frankly, I told the House if you want, let them see it," Trump responded. He went on to reiterate, as he has said before, that Attorney General William Barr will decide if or how the report is released. "Now at the same time, let it come out, let people see it. That's up to the attorney general," Trump said.